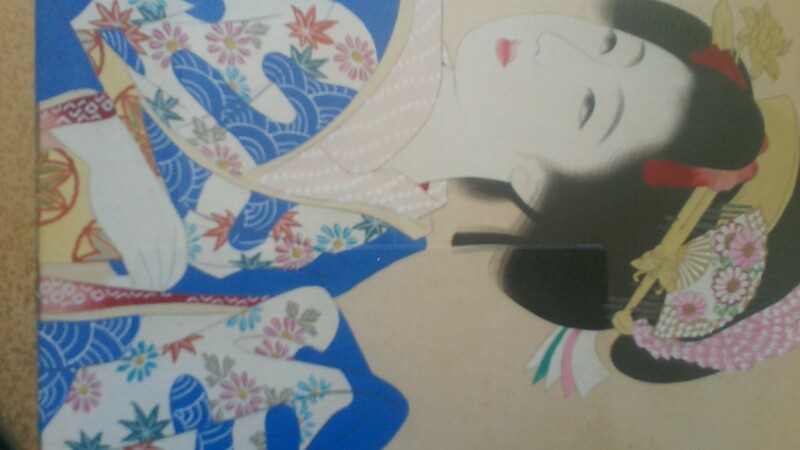 I have this large (15" around) painting of a Geisha on what appears to be rice paper glued to tin. 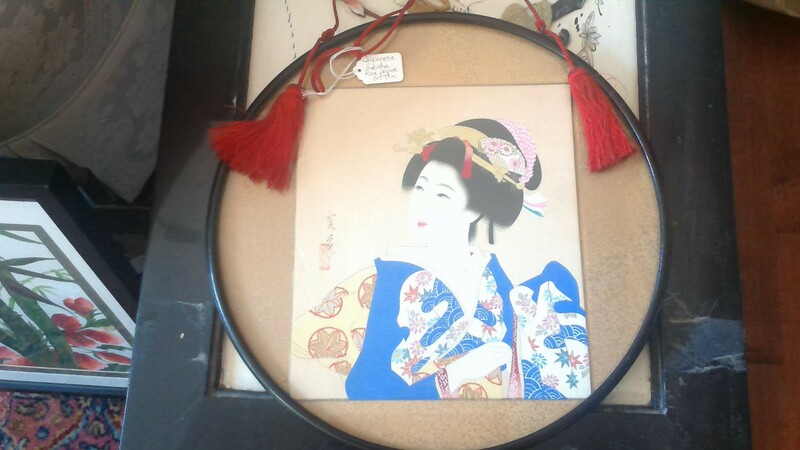 The tin is then mounted into this round wooden frame that was backed with thick rice paper. It looks quite old to me but I don't know much about it other than the gentleman that I got it from was Japanese and about 95 years old. The painting is beautifully done, very detailed and crisp. There is a signature to the left of her face. Can anyone tell me anything about it? Age? Artist? Value?